DISCOUNTED ELECTRONICs ACCESSORIES - CLEARANCE ITEMS! 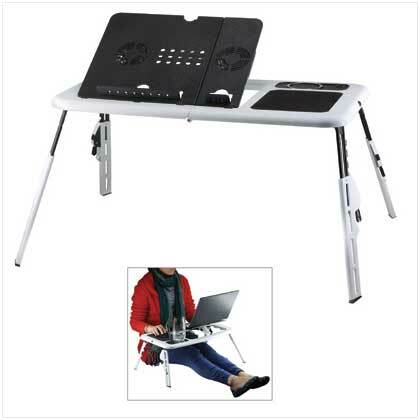 We have electronics accessories like laptop bag, novelty phone, lights, cd cleaner, laptop cooling fan and more! This set of three designer earbud clips do more than add a splash of fashion to your headphones: they keep the cord tangle-free and just the right length! 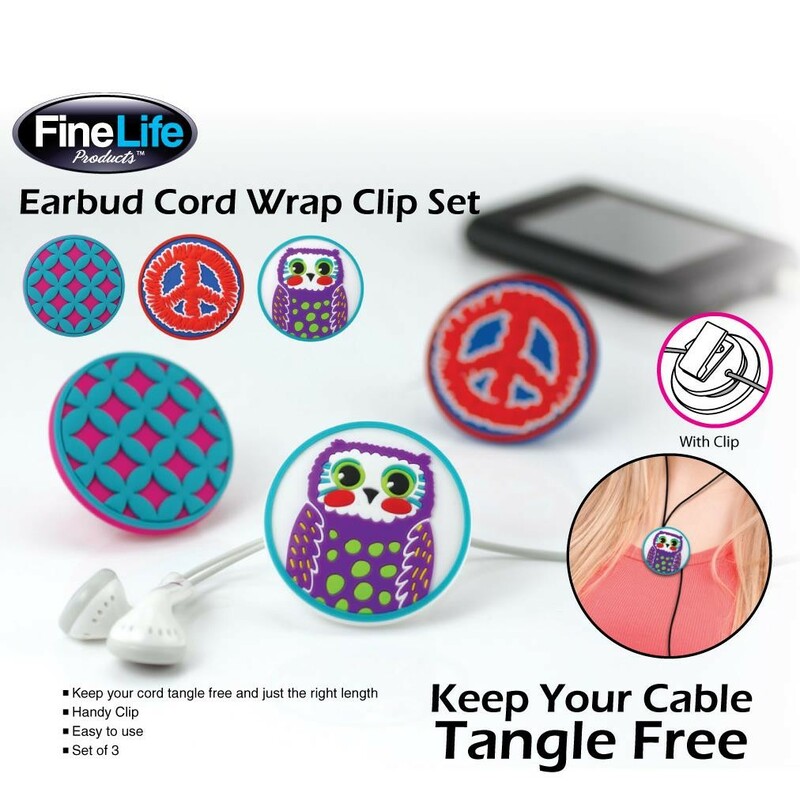 This trio of easy-to-use earbud accessories come in three cool designs (peace symbol, owl, and lattice). Each clip is 1 3/4" x 1" x 1 3/4" high. Dimensions 1.75" x 1" x 1.75"
No matter how carefully you store your headphone earbuds, they always seem to tangle and twist. But you wont have that problem anymore thanks to this trio of ingenious cord wraps! 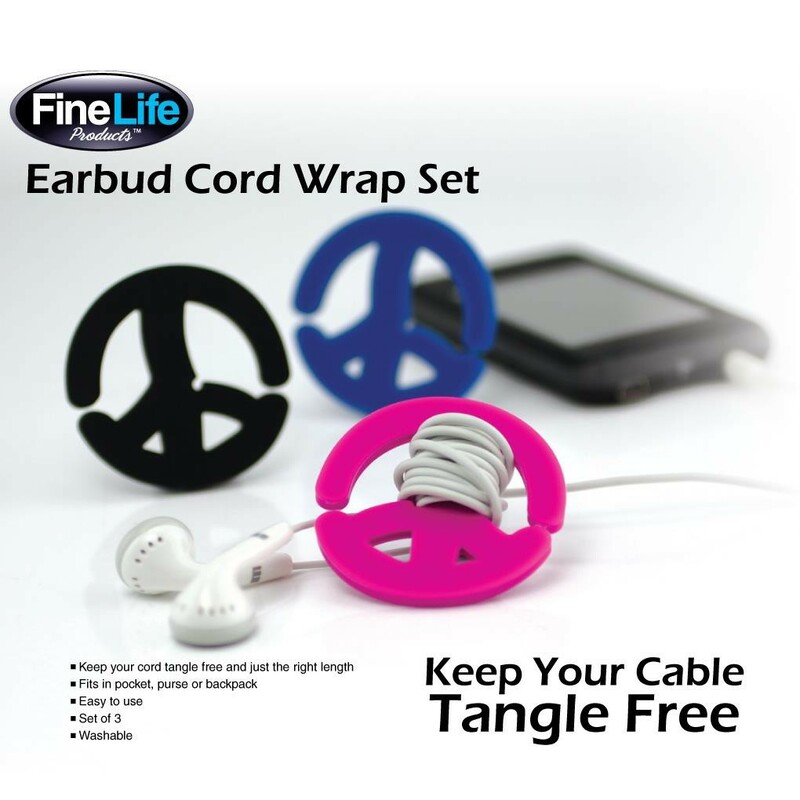 They are easy to use, keep earbud cords tangle-free, and easily fit in your pocket or purse. Set of 3 includes 1 black, 1 blue, 1 pink. Each wrap is 2" diameter. Washable. 14801 STURDY LAPTOP SLEEVE! Protect your precious portable computer with this sturdy carry sleeve! 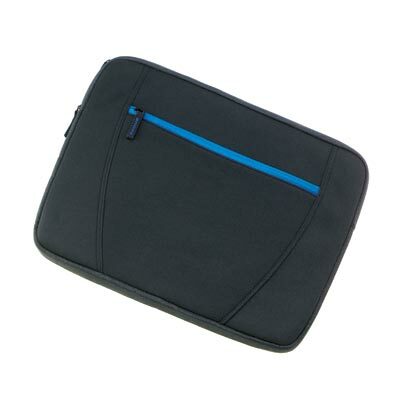 Ideal for everyday use, this attractive case holds up to a 15" laptop; zippered outer pocket keeps accessories right at hand.